The Raritan River Basin has a long history of flooding events. Communities along the river have documented high water over the past three centuries. With an expansive watershed, the Raritan’s floodplain stretches over an area of 94,000 acres. Due to a history of agriculture, industrialization and urbanization, approximately thirteen percent of the floodplain is now considered urban land. Most urban spaces have a majority impervious surface cover, which increases polluted runoff and can negatively impact an area’s ability to deal with storm water. Flooding is becoming more dramatic and communities are looking to increase their resilience as they expect this to continue. Dr. James K. Mitchell, Professor Emeritus in the Department of Geography at Rutgers School of Arts and Sciences, spoke about this history at the 2016 RU on the Raritan Conference. In his presentation (copy available on the conference site), he shared how municipalities like New Brunswick, Sayreville and Bridgewater are especially vulnerable to flooding. Although retreat was a common response to instances of flooding on the Raritan during the colonial era, the 19th and 20th centuries brought more intense human activity to the region and has made it a challenging and controversial topic. 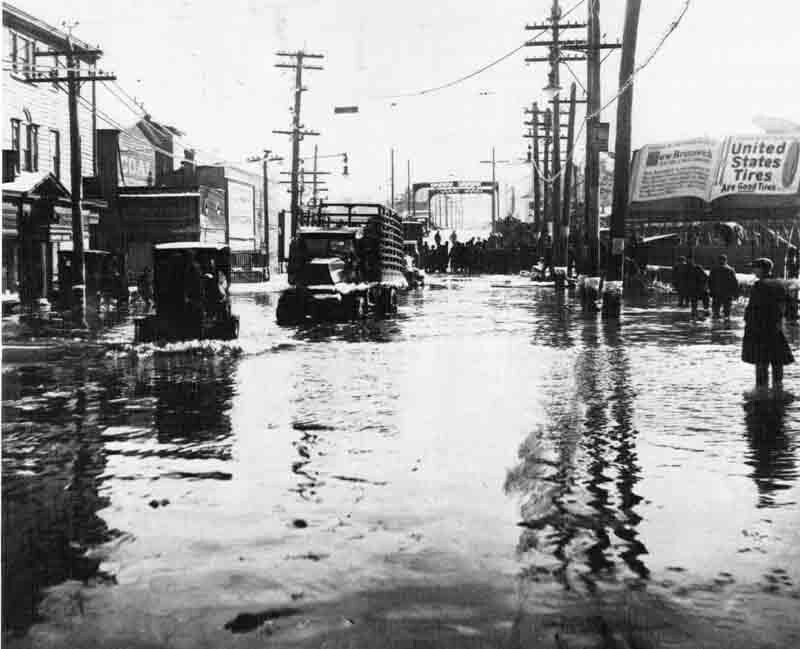 Dr. Mitchell suggested that modern New Brunswick could be made more resilient to flooding through the removal of waterfront structures and the creation of higher density buildings away from the floodplain. Additionally, increased resilience could be achieved through the development of more robust assessment tools, change in land use practices, increased communication and evacuation planning, and elevation of properties in the floodplain. Dr. James K. Mitchell can be contacted at jmitchel@rci.rutgers.edu.